An AOR hit of the 70s for the band America, the lyrics to The Tin Man have a smoky befuddlement of earlier times which, though less complicated technologically, were every bit as forbidding emotionally. 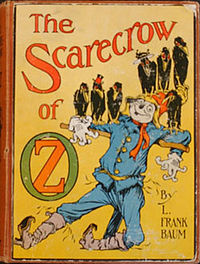 Though the allusion to L. Frank Baum is readily apparent and the song has an easy-breezy arrangement (a specialty of America), the words themselves are a bit puzzling in their arrangement on the page, for which, of course, they were never intended. Still it's not hard to sigh and tap your foot a time or two to the trippy confluence of color and image and sound and, yes, a touch of nostalgia, not necessarily for those times, but for some unnamed, unreal other time ... that never existed at all. I recently saw the new Disney release, The Great and Powerful Oz, which was nowhere near as bad as folks made out. It prompted me to go back to Oz, the cinematic classic, and then to another Disney amalgam, the foreboding Return to Oz, a film much closer in its presentation to the Baum novels than the Garland musical version. Baum's fetish for detachable heads alone is something to contemplate when walking on the darker side of the street.